Budapest, III., Szépvölgyi út 39. 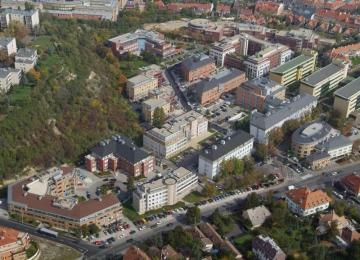 The Szépvölgyi Office Park located in the heart of III. district, at the foot of Rózsadomb was built on nearly 6 hectare of land, which allows us to provide our existing and future Tenants office space in green environment. 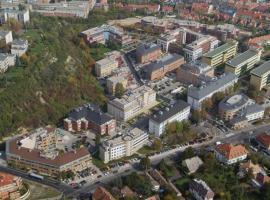 Szépvölgyi Office Park, in the 3rd district of the capital city, offers office spaces with flexible formation and several services such as restaurants, banks, a fitness club and a car wash.